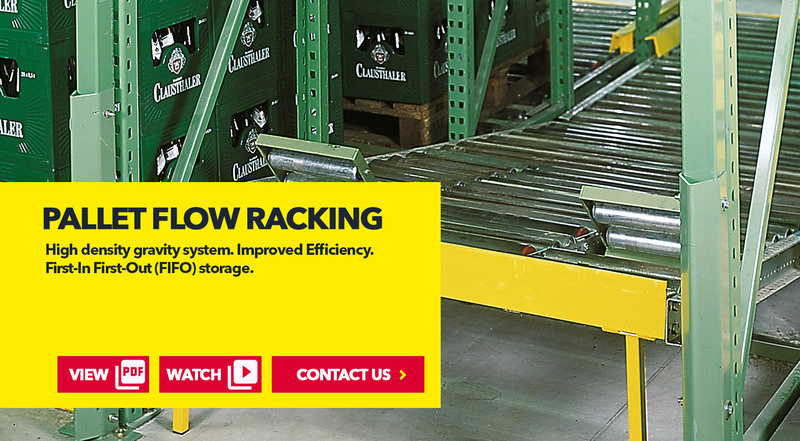 Working on the principle of “parts to the picker”, the Pallet Flow racking system provides excellent volume utilization on First-In First-Out (FIFO) principle. Speed reduction units control the speed of pallets, and prevent line build-up and pressure, automatic offload separation gates and entry guides ensure ease of operation. As each lane can be used to store different commodities, more picking faces are available than with Drive-In pallet racking. Standard pallets can be used on full width rollers. 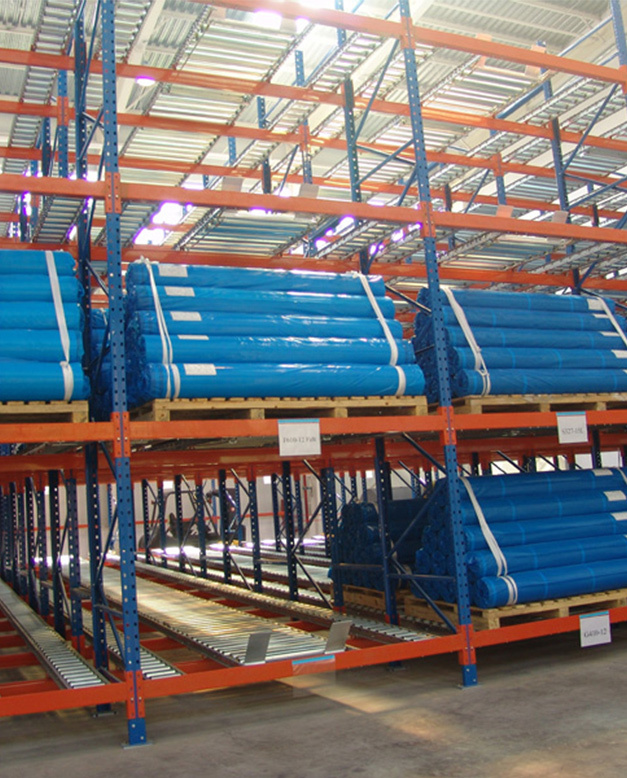 For non-standard pallet sizes, either high-density roller or multi track systems can be provided. 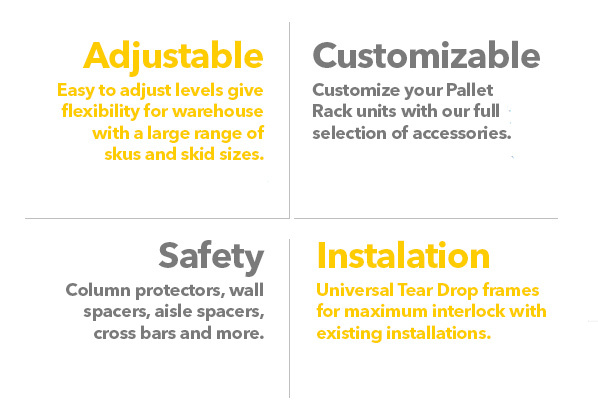 As the system is based on conveying systems, the standardization and quality of pallets are critical. 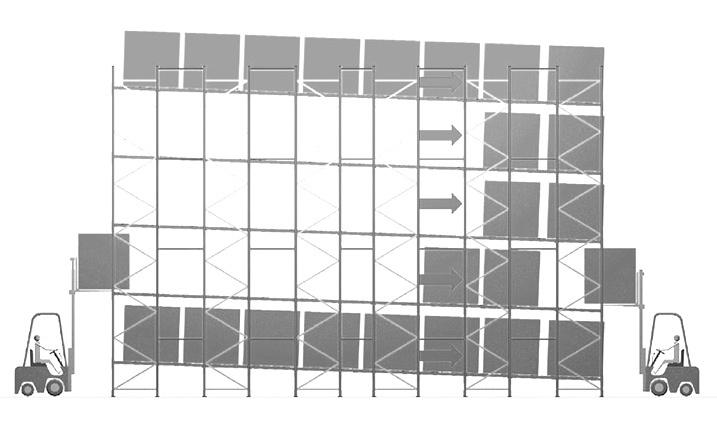 Pallet Flow Racking can be used with various pallet sizes but standardization and quality of pallet essential. The system of choices where shelf life and first in first out is critical. 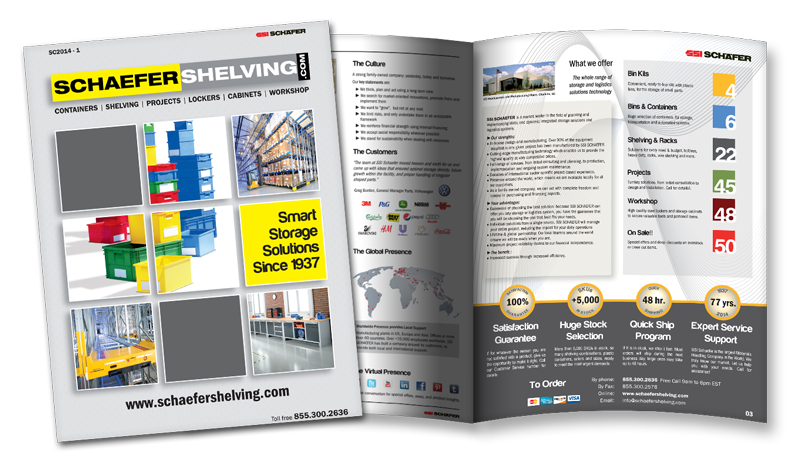 Favoured for temperature-controlled environments where cost of warehousing is far higher than ambient warehousing, high density storage can justify the investment. 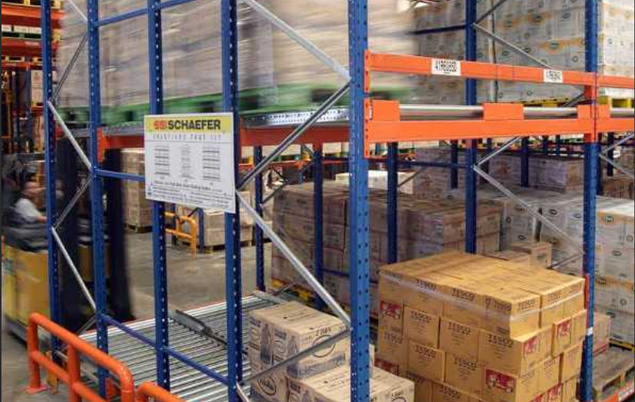 Watch SSI SCHAEFER Pallet Flow Racking in action!